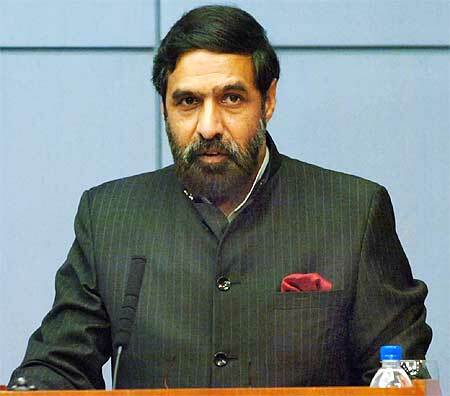 Commerce and Industry Minister Anand Sharma on Wednesday appeared to share industry's concerns over naming Kumar Mangalam Birla in an FIR in coal scam case saying it was unfortunate and could raise questions over investor confidence in the country. In a veiled criticism of CBI, he said authorities should not "play to the gallery and create an environment of sensation and shock". "So, the larger question which comes up is that whether we have an environment which is conducive to decision making and also which gives confidence to the investors and to the corporate world," Sharma told NDTV. Describing the development as "unfortunate", he said: "because we have a system which is transparent, open and we have due processes which are followed in decision making". "...first the institutions or the various authorities who have some constitutional duties to discharge should not go for overreach or play to the gallery and create an environment of sensation and shock," Sharma said. Reminding the contribution of corporate leaders in India's growth, he said: "Irrespective of what the specific issues are, there is no denial of the fact that the corporate leaders, including Kumar Mangalam Birla, are held in very high esteem in India and abroad and they have made their own notable contribution." Meanwhile, Corporate Affairs Minister Sachin Pilot said it must be ensured that such actions are based on 'hard facts' as these incidents dampen business confidence and investor sentiment. A number of industry leaders have also expressed their concerns over the CBI action against Kumar Mangalam Birla, who heads $40-billion business conglomerate, Aditya Birla group which is present across metals, mining, cement, retail, telecom, technology and financial sectors, among others.